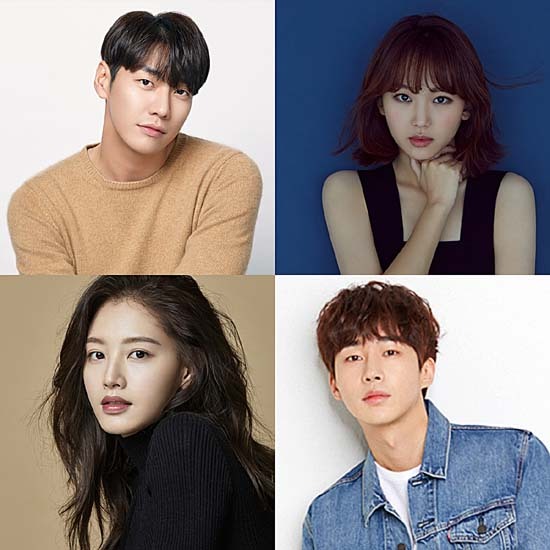 Kim Young-kwang, Jin Ki-joo, Kim Jae-kyung, Moo Jin-sung have confirmed their parts in "The Secret Life of My Secretary", SBS's Monday/Tuesday drama starting in May. The office romcom is about polar opposites who fall for each other in the forms of an icy, demanding boss (Kim Young-kwang as Do Min-ik) and a hard-working, fiery-tempered secretary (Jin Ki-joo as Jeong Kal-hee). Kim Jae-kyung takes on Veronica Park, a CEO with a few skeletons in her closet, while Moo Jin-sung will be Ki Dae-joo, Do Min-ik's kindly best friend. Director Lee Gwang-yeong of "Nothing to Lose", "Entertainers", and "Puck!" will join Writer Kim Ah-jeong of "Three Color Fantasy - Queen of the Ring" and "Divorce Lawyer in Love". [Ratings] "Liver or Die" Takes First in Absence of "The Last Empress"
[Photos + Cast Update] New Posters and Stills Added and Cast Updated for the Upcoming Korean Movie "Extreme Job"